South Korean filmmaker Jang Kun- jae is one of the emerging filmmakers in Korea, who is known for his naturalistic films such as Eighteen (2010), Sleepless Night (2013) and A Midsummer Fantasia (2015). 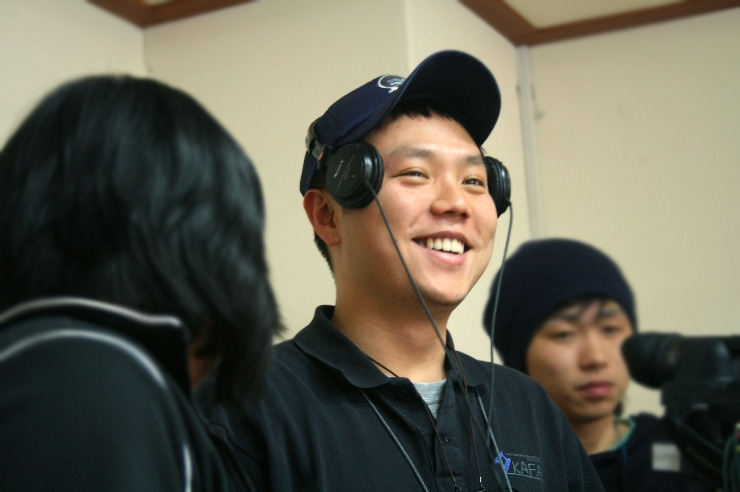 Kun- jae is a handy man when it comes to filmmaking; he edits, produces and directs his own films. His debut feature Eighteen won him the Dragon and Tigers Awards at the Vancouver International Film Festival in 2009, and the Nuovo Cinema Award at the Pesaro Film Festival in Italy in 2010. In 2015 he made a subtle romantic drama entitled A Midsummer Fantasia, which was commissioned by Nara International Film Festival, and produced by the Japanese filmmaker Kawase Naomi. The film was invited to various international film festivals like Rotterdam (The Netherlands), Busan (South Korea) and Hong Kong. 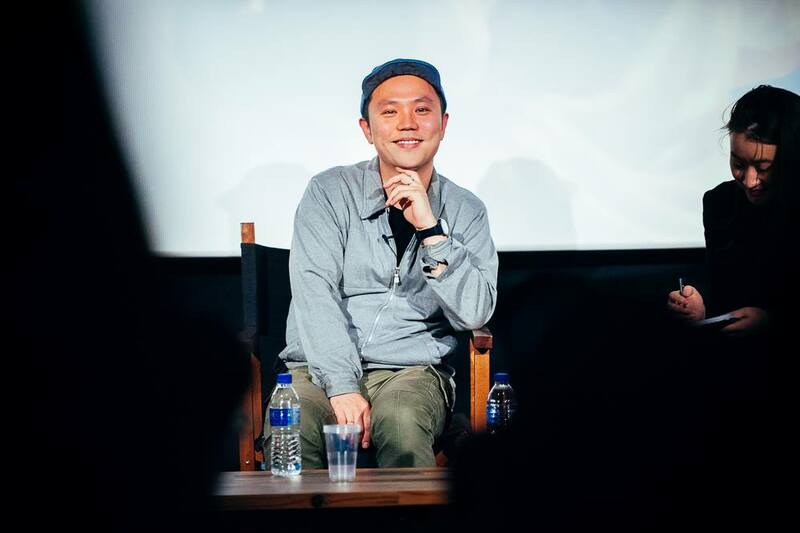 In November 2015 Jang Kun – jae was also invited to the 10th London Korean Film Festival where he presented his latest film to the audience. Jang Kun- jae: (With the big smile on his face Kun- jae introduced himself) Hi everyone, I was invited to this festival as an emerging director with my latest film A Midsummer Fantasia, which is my third feature film. Also my second feature, Sleepless Night, was shown at the festival and I do hope you all enjoyed it. View of the Arts: Let’s talk about your latest work, A Midsummer’s Fantasia. What was behind the project and what prompted you to write and direct the film? Jang Kun- jae: My previous film, Sleepless Night, was invited to the Nara International Film Festival. There I met the Festival Director, Kawase Naomi, who wanted me to work with her as a producer on another project. A Midsummer’s Fantasia was commissioned by NIFF and produced by Kawase Naomi, who is also a well-known film director. There were some conditions that had to be met before making the film though: we had to shoot the film in Japan and were required to have a few Japanese actors as well. It was like a secret contract (laughs). I wrote the entire story, and luckily had a lot of artistic freedom as a director. Hangul Celluloid: If I could ask you about Sleepless Night, one of my favourite films of the last year’s London Korean Film Festival. I would like to ask you about the narrative itself, the performances felt very natural and while watching the film it almost felt like I was watching the real life rather than a film. In my opinion this sort of thing can only be done from a very personal prospective. How personal was the story of Sleepless Night to you? How did the story evolve? Jang Kun- Jae: At the beginning of filming, I wanted to put my thoughts and my worries as well as my lifestyle into the story. There were lots of discussions between the staff and a crew about how to film this. At that point, that I realised that my worries weren’t just my own, they were common shared worries. However, I did think that the main actor was my persona. As I was filming, our worries, gestures and reactions from those worries were mixed together to build a good chemistry and intimacy. As a director my main concern was that I wanted to know what the realism of this film was. I tried to look for my own way of creating realism. Ekran Magazine: I would like go back to A Midsummer’s Fantasia and your personal view. Is there any personal message you wanted to convey through the film? 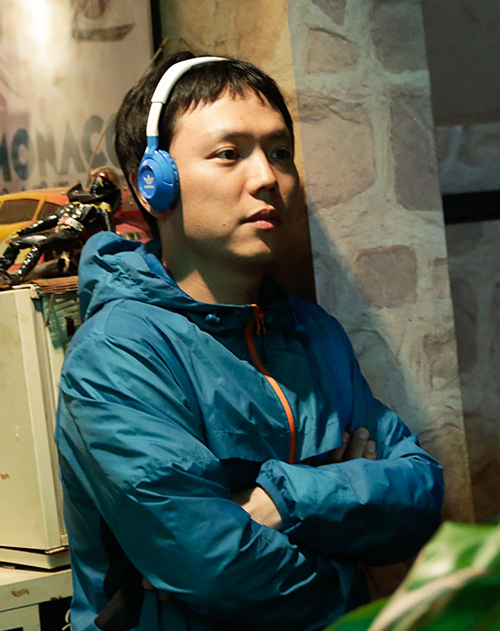 Jang Kun- Jae: I always think how I could live happily, because my life as an independent filmmaker is very hard. There are always issues with money and there are always numerous temptations out there. An important topic in my life would be to look for happiness whilst working on my projects. I think my ideologies are definitely present in A Midsummer’s Fantasia. Film3sixty: In terms of A Midsummer Fantasia, I loved it, I thought it was such a great film. I am curious about the second part of the film, the relationship between the boy and the girl. I found her very accurate and quite relatable, but also I felt sad for the male character. What was the inspiration for the love story, are there any cinematic romance tales out there that influenced you while working on the film? Any romantic films that you like that might have influenced you as well? Jang Kun-jae: There are Japanese locals in the films, as well as actors. Of course the main protagonists are the real actors. As you noticed in the film, looking back at their past story, they did have some sort of connection with the Korean people. With the regards to the second part, it was very natural for me to base it on chapter one. And as a director I wanted to make that part as natural as possible, especially the love story between the main characters. I don’t particularly like romantic films but as you have probably noticed my films are kind of romantic ones, which is it a bit strange. View of the Arts: Your film narratives are subtle and most of the time show common people’s lives. Sleepless Night captures the drama of the present moment in the daily life of a working class 30-something couple struggling to have a child. A Midsummer’s Fantasia is also a romantic drama. Have you ever thought of writing a different script to what you have already written? You said you look for happiness in your project, but would you consider writing an entirely different kind of script, perhaps psychological drama? Jang Kun- jae: I have several projects in mind. I also look for new stories, and to be honest with you I like drama. I might make a thriller film, I am not sure (laughs). These days I am interested in social problems faced by the Korean young generation and Korean society which struggles with a lot of things nowadays. Hangul Celluloid: Many film directors, established, new and emerging, talk about how difficult it has been to get their films made and screened. What were the main difficulties throughout your career in getting your films made, and have you felt you need to alter the stories you are telling in an effort to please people who have invested in your work or might invest? Jang Kun- jae: Fortunately, till now I was the producer in my films, only in order to get investment from public organizations, and until now there haven’t been any changes. If I wanted to make a commercial film and I needed a huge amount of money I would try to do what the investors would like me to do. But at the moment I have my artistic freedom. The films I have made so far didn’t raise much income, but I got what I wanted in terms of the message I wanted to convey. Ekran Magazine: Going back to what View of the Arts asked about before, i.e. making a different kind of a film. When you look at the first part of A Midsummer Fantasia, it felt a bit like a mock-documentary. Hhave you ever thought of making a documentary, especially since you have been interested in human relations and life’s stories? Jang Kun- jae: I have a documentary project already and it is about artists and their lives. I am really interested in creative people’s lives. Film3sixty: You seem like a very compelling filmmaker, what other filmmakers have inspired you when making films? Jang Kun- jae: I feel like I haven’t even made a first step as a director yet, it really feels like that. When I started to study films as a film fanatic, there were various director that, of course, inspired me while studying. However, for my future projects I feel like I should find my own way in doing things. View of the Arts: You have been working in the indie film industry in Korea for a while. However, A Midsummer’s Fantasia was mostly shot in Japan. Is there a vast difference between shooting a film in Korea and making one in Japan? Jang Kun- jae: Japanese filmmaking style is gentle and very detailed. It also of a very good standard. Time moves quickly when you film in Japan. The Japanese film industry has been running for a while, whereas the Korean one is much younger. When it comes to my artistic freedom, though, it is more or less the same. Hangul Celluloid: If you look at narratives of Sleepless Night and A Midsummer’s Fantasia they very much speak for themselves, they explain without too much exposition, at the same time almost allowing viewers to draw to their own conclusions based on their own feelings. Was that your deliberate intention of yours when you made these films? Jang Kun- jae: (Thinks for a while) That’s a good question. The basics for my films are what I wanted to contain e.g. how I see life at that time. You know sometimes you have a good day, sometimes there is a bad day, today’s thoughts might be different to tomorrow’s, and mine always change. In an hour and a half I don’t think I have the ability to show to the audience that this is what the world is like, so I like to show them in one scene what represents someone’s life at that point. It might be uncomfortable for an audience that is looking purely for entertainment, but I don’t want to give them a happy or unhappy ending, or any sort of boring ending. Ekran Magazine: If the opportunity presented itself, would you be interested in venturing into Europe and making a European co- production? Jang Kun- jae: It would depend on a particular project. But when I was travelling around to different film festivals with my first feature Eighteen, I was looking at different co- productions. I was thinking that if I didn’t get funding in Korea, I would go to other countries to get investment. Film3sixty: I would like to go back to A Midsummer’s Fantasia. How did you go about casting for the film? Also, in terms of the actors starring in a first chapter, how did you find those people and build the relationship between them and why did you decide to make the first chapter in black and white. Jang Kun- jae: The main actor, Hyeong-kook Im, is my friend, we met in 2010 in Japan. I thought that actress, Saebyuk Kim and the actor, who portrayed the director in the film, Lim Hyung-kook would be great in those roles. In terms of the black and white filming, I wanted a portrait style of filming so I suggested that to my cinematographer, and we did testing for black and white. We decided to set the camera to black and white because I was worried that I would later change my mind about the colour. So we stuck to black and white only, that’s for the first chapter of the film of course. View of the Arts: After watching A Midsummer’s Fantasia and Sleepless Night, I found the main actors’ performances very impressive, effortless and undertaken with natural acting. How did you achieve that? Do you have your own way of working with actors or do you give them the freedom to express themselves, or do you guide them often? Jang Kun- jae: If I don’t give them any guidelines on filming, we can’t film the scene we want to film. They look like they put no effort into acting, but they acted very sensitively. Especially in Sleepless Night the actors had a lot of experience. What I required in that film was that their performances had to appear real, by playing natural. I was lucky with my actors because they knew exactly what to do. In relation to how they chose to react to the other actors, I asked them to listen to each other, comprehend what they said first and then react to it. This method was the one used in the film, that’s why the audience feel that the actors performed very naturally. When it comes to A Midsummer’s Fantasia, it was all about emotions. That was very important. And if I felt differently to how the actors were feeling, I would have faith in them and let them do whatever was necessary. Hangul Celluloid: I wrote number of the synopsis for this year’s LKFF, and while most were fairly easy to compile, I found writing an overview for A Midsummer’s Fantasia incredibly difficult, by the very nature of the narrative. How would you describe your film’s narrative if you were writing the synopsis? Jang Kun- jae: (laughs) I have marketing team for that. This is not my job but I will try (laughs). A Midsummer’s Fantasia is about a Korean film director who searches for an inspiration while travelling to Japan (laughs). It is a very hard thing to describe, I really don’t know. HyunJin Cho (Festival Producer) added: This type of film is against any kind of marketing in my opinion. I don’t think the film can be felt in a two line overview. Hangul Celluloid: From the personal view, it is a beautiful film, and can’t be described in a few lines, that’s really why I asked the question. You have a director and a young woman, the come together and there is that special connection, and you can’t say anything more than that because anything more needs to be seen. It is just a beautifully layered and nuanced film. Ekran Magazine: I would like to ask you about your creative process, you are a scriptwriter as well as director. Is there a special process that you go through? How does it work for you? Jang Kun- jae: Obviously, I write first but when I shoot I think about my story very often and sometimes I edit what I previously wrote. My role changes all the time, after shooting a film I turn into an editor. I was a producer, director, editor and scriptwriter on all my three features. I think I am more of a filmmaker than a director. I am like a handy man, I do everything (laughs). View of the Arts: How long does it take you to complete a film? Jang Kun- jae: Normally it takes from one to two years. The last film took 13 months without a break, non-stop, no weekends for me, there was only filming (laughs). It was a great pleasure chatting with Jang Kun- jae, he is a very bubbly individual who loves to talk about filmmaking. I am looking forward to his new projects in the near future.